Airbrush foundation is the way to do it! It's light, it improves skin clarity, it dries instantly, isn't oily, and does't give you a "layer" of make-up on! But not everyone owns an airbrush or might be intimidated to try an airbrush. But I've been putting airbrush make-up on for years without needing to fire up my airbrush! So I'm going to show you how too! BE WARNED: this may just revolutionize how your face looks! 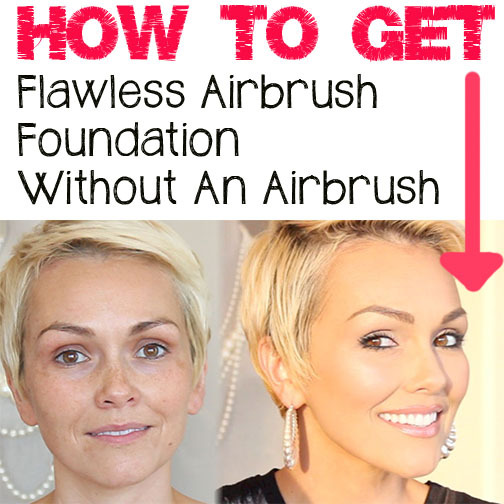 Airbrush make-up is an entirely different formulation than "regular" foundations. It's watery liquid, formulated without oils because it needs to be sprayed very finely through an airbrush. It has different ingredients than any "regular" foundations, which make it dry almost instantly and looks and feels like you have nothing on your skin. Also if you have oily skin or acne, sometimes just the use of the airbrush make-up can improve the quaity of your skin. I even applied airbrush makeup over one of my blemishes and do to it being free of oils, it actually helped make my blemish go away, practically overnight. So, now you can have perfect looking skin without all the weight or oily layers of regular foundation, by using these "makeup artist secrets" for putting airbrush foundation on! Dina, is the originator of using make-up in an airbrush. Everyone in the airbrush make-up industry knows and respects her as the "mother of airbrush makeup". Dinair make-up is water-based, paraben free and silicon free. And they aren't expensive. One little bottle can last you forever too! And they come in the largest range of colors. And they have the most helpful customer service that can help you color match too! Dinair has one of the largest selections of shades which you can then custom mix by using a few drops of different shades. *I wear Dark Golden Beige and Golden Tan. You can get a sample set, of like 5 foundations to try, but they last you forever. Mine is from the MEDIUM set if you want to compare. Temptu is a little pricier than Dinair, but it's because of the mechanics that come with the piece which works with the airbrush compressor. It's different system with the little foundation pods, but I'll also show you how to get the make-up out of the pods too! I've seen Temptu used back stage at NYC Fashion Week at big shows like Helmut Lang and BCBG Max Azria. They also have inexpensive airbrush make-up too. Although OCC is known for the lip tars, they have a huge selection of airbrush make-up that is pretty wallet friendly. 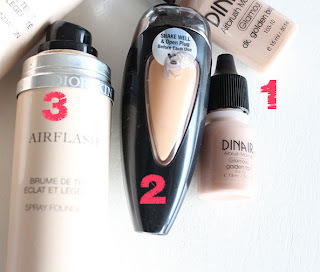 I like the Dior Airflash because it's paraben free, it has amazing coverage, but it is pricier. It has botanical oils which virtually dry once they hit the skin. 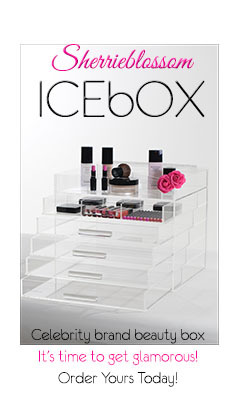 This is a makeup artist favorite. When you don't spray it all over your face from the can, it mast much longer also. I don't like that it doesn't have a very large color range and is pricier. But it's amazing. I don't have any drugstore options because so far their aren't any that have proved to be that great. The ones that are out, either have a plastic looking sheen or feel on the skin, or have tonal issues making people look really orange. *you can try any other brush used for liquid application, preferably a synthetic because synthetics are better for apply liquid. *I love apply "regular foundation" with a sponge, but not the airbrush foundation, it will look "mottled" and spotty, due the way the sponge absorbs and releases liquids, unlike with a cream or oil based product. This is a make-up artist favorite. It's unlike any other foundation palette made. The pigment concentration is not even comparable to any other foundations. It's free of mineral oil, lanolin, and petroleum. 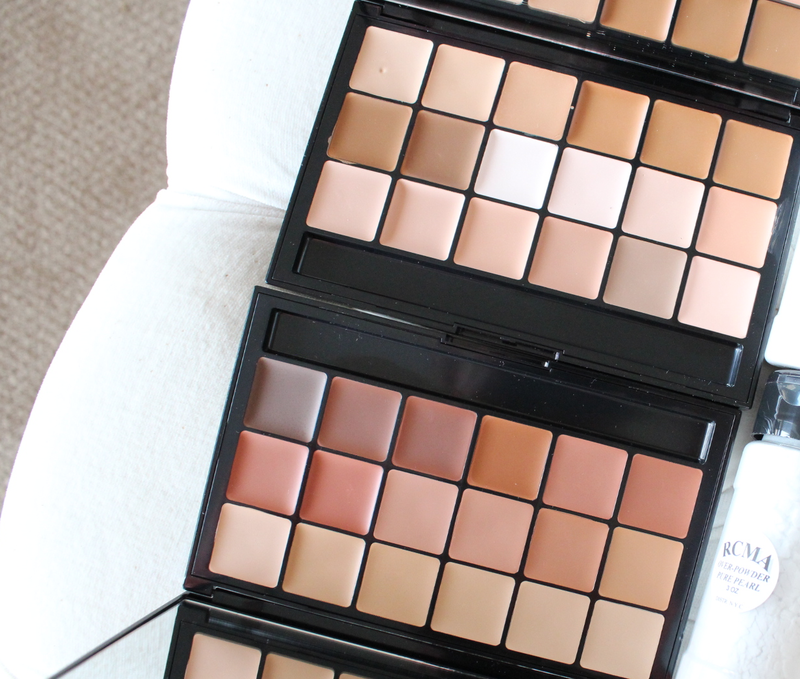 The RCMA palettes deserve an entire post written just about how amazing they are!